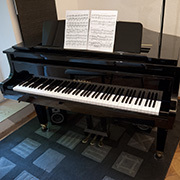 The piano lessons are suitable for children, teenagers and adults – for beginners and for advanced learners. Depending on age and demand I can offer lessons with 30, 45 or 60 minutes. Home visits in the area of Munich are also available! Everyone can get a complimentary free trial lesson! Please contact me to arrange it. Alternatively to the free trial lesson you can also book a ‘Starter Package’ with 4 lessons for a special reduced price. And you can also buy » gift certificates! Line underground U3 up to station ‘Thalkirchen / Tierpark’ (zoo). Every pupil gets a weekly lesson of 30, 45 or 60 minutes (depending on age and demand). As common practise in many music schools, you have to pay the monthly flat rate 12 times all over the year, that means in school holidays also. All over one year, at least an amount of 40 lessons is guaranteed. Lessons that are cancelled in good time will be catched up. Alternatively to the lessons payed with monthly fees, you can also book individual lessons. These are especially appropriate for adults and employed persons who want to stay flexible. The teaching times for the Starter Package can be arranged individually. If you decide to book a Starter Package, then there will be no free trial lesson. These are prices for lessons for individual pupils. Prices for groups of pupils on request. You can buy beautifully designed gift certificates for piano lessons – with an amount of lessons according to your free choice (with or without home visits), or with the ‘Starter Package’. 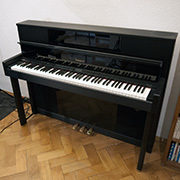 You will get the piano lessons on a Kawai grand piano and/or on a high-class Roland LX-10 digital piano. All of my piano lessons programs are tailored to each individual pupil. Pupils are taught the basics of technique and reading music. And I always try to give my students the music they love to play so that they are motivated to practice and learn. Practice can be anywhere from 5 minutes for a young child to any number of hours for a serious adult. The normal practice time for a young student in school is from 15 minutes for the younger ones to 30-60 minutes for older children. So this does not interefere too much with the work a pupil has to accomplish for school. 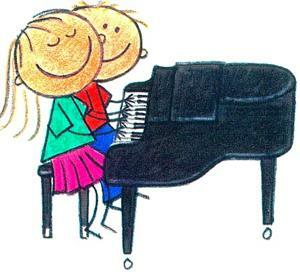 Piano lessons are very highly beneficial in the development of a child’s brain. 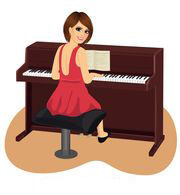 Study after study supports that piano lessons surpass any activity in their contribution to developing essential connections in the developing brain of the child because it utilizes so many operations simultaneously. As for adults, piano lessons can bring great pleasure in terms of relaxation and peace of mind as well as the joy of playing one’s favorite music. Piano lessons offer a sense of accomplishment for young and old!